The GL1000 and GL1100 shares the reputation for reliability that Wingnuts take for granted, and for good reason. It was the first real specific super-tourer when Honda introduced it. Whether you’ve been riding the GL1000 or GL1100 since then, or have just picked up a used bike, when you want aftermarket Honda GL1000 Parts, Honda GL1100 Parts, Honda GL1000 Accessories, and Honda GL1100 Accessories, browse our selection right on this website. Why buy your Honda GL1100 Parts and Honda GL1100 Accessories from Cyclemax? • FREE VIP Discount for even greater savings on already rock-bottom prices! 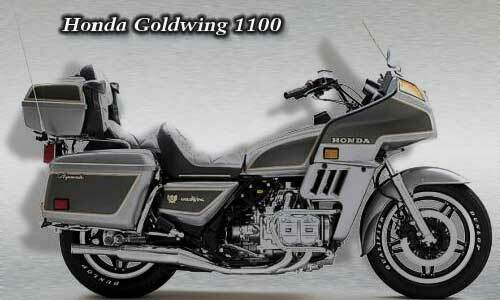 • Our inventory of Goldwing 1100 Parts and Goldwing 1100 Accessories is always increasing — so check back often! If you own a GL1100, you know it is legendary in reliability and has withstood the rigors of the road. When it comes time to repair or customize your bike, look no further than Cyclemax.com for your Honda GL1100 Parts and Honda GL1100 Accessories — the best prices are found right here. See you on the road!